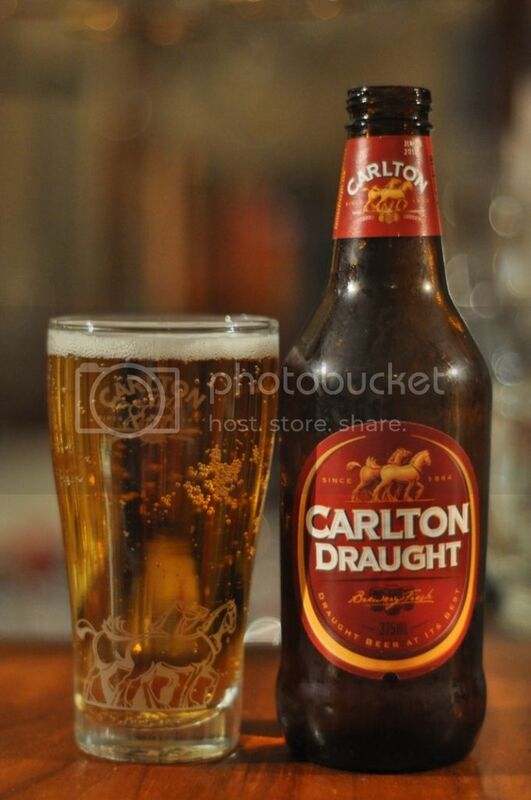 Today I get to relive memories of the first beer I ever got really drunk off; Carlton Draught. This is the beer I drink when I go out, but normally when I drink Carlton it's on tap not in bottle form. It's been ages since I've had stubbies of Carlton, so this should be good. First I had the stubby of Carlton Draught because I'd had a long day at work so when I finally poured one I understood why it's normally on tap. The pour was pretty average with little to no head. Carlton Draught is always said to be at its best closest to the brewery and I bought this one all of a kilometre away from the Abbotsford brewery so this should be as good as it gets! 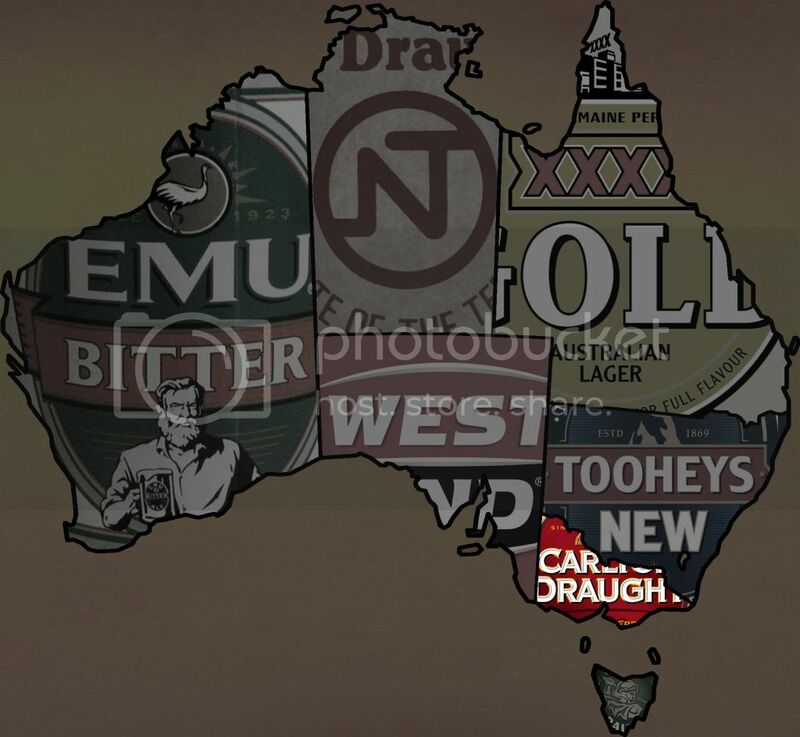 The best thing about the nose of Carlton Draught is that the beer is not offensive at all. The smell is very mild with some hints of yeast but not alot else. The flavour is of sweetish grainy malts with little to no hops present. The carbonation is quite high for a macro lager, as you can see in the picture. Carlton's real selling point is that it is one of the best session beers out there! Victoria Bitter, or VB as it more commonly known, is one of the few macro lagers to find success outside of it's home state. 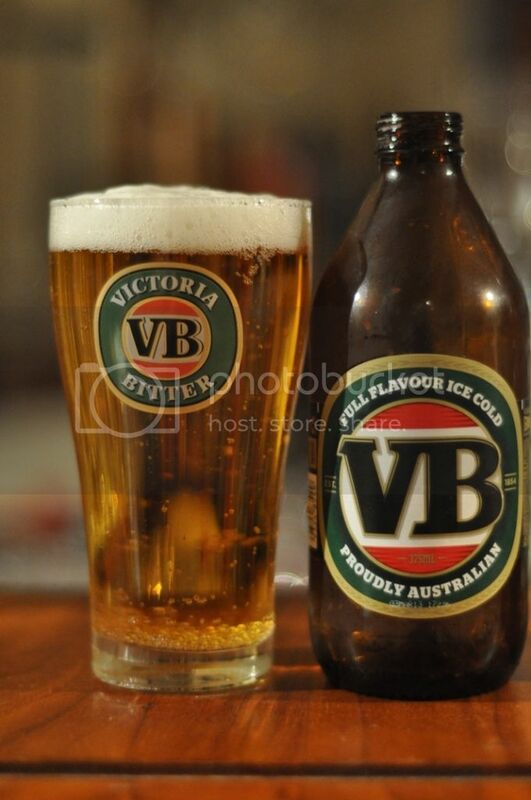 VB has always been known as the best cold beer and is specially brewed for full flavour ice cold. 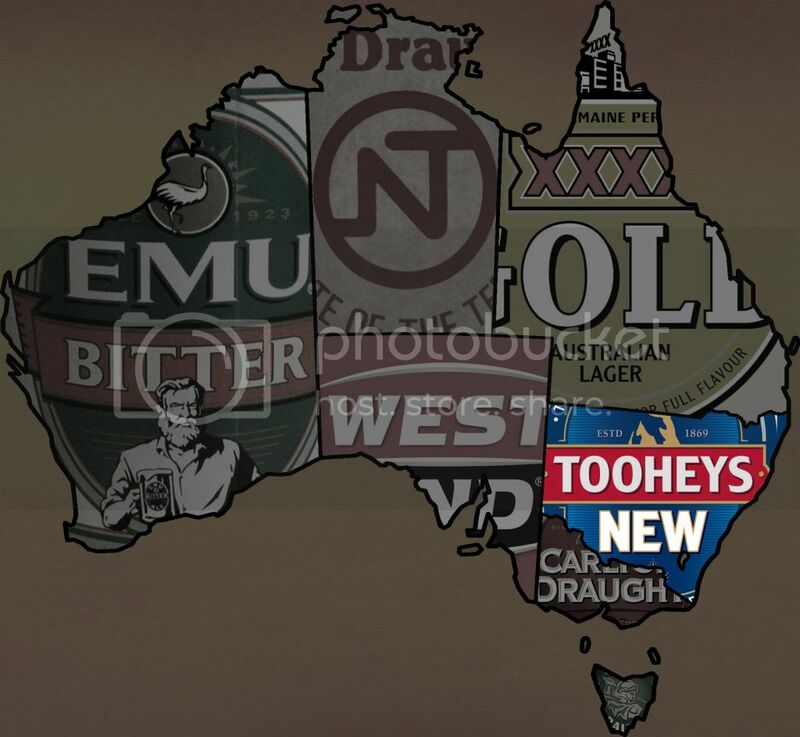 VB is marketed as an unpretentious beer and aims to appeal to the blue collar market. The beer is a lovely golden colour with a reasonable white head on top, it's a good looking pour. Despite the bad rap this beer has I really enjoyed this one. Despite it's simple nature the nose of VB has a little bit of quality to it. There's a bit of fruit up front on the nose with some nice bitter hops towards the end. Flavourwise this is better than the Carlton Draught from before. It's got a good malt base, great hop bitterness and is really drinkable. What more could you ask from in a lager. 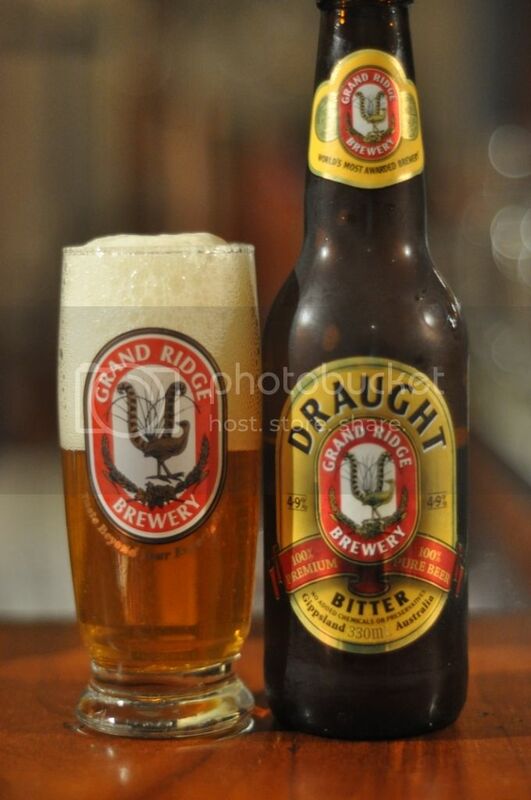 Grand Ridge Brewery's Draught Bitter is the craft beer chosen for Victoria, which was a tough decision as there has been a number of quality craft lagers to choose from. Grand Ridge Brewery is about 2 hours east of Melbourne in Mirboo North and is definitely worth a visit. The head of the Draught Bitter is huge and frothing, the head retention is really good as well and this helps top off a nice golden coloured lager. The nose is almost reminiscent of an ale, it's quite odd. There are some caramel malts with also hints of apricot and another fruit, maybe mango? The flavour is at first slightly unusual but it turns into a very refreshing crisp lager/pale ale collaboration. To call this a true lager would be a lie, but the flavour is nice and the beer is quite enjoyable. These 3 beers have done the Big V proud! VB was the (surprising) clear standout, with both Carlton Draught (our main beer) and the Grand Ridge Draught Bitter performing well. Victorian lagers are cleary brewed for huge consumption, both VB and Carlton Draught could be consumed in vast quantities and the Grand Ridge lager would go down nicely as a session beer as well. The scores have been recorded and will be announced at the end of True Brew! Queenslands beers will hopefully be up either tomorrow or the next day. May the best state win!